This week is our Olympic theme! In readiness for the Olympics which starts Friday. I am so excited. Little Boo adding her score on the chart. As you can probably tell she has already helped to write Our Olympics. 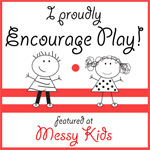 Today and tomorrow we are sharing with you our toddler Olympics! Due to actually having nice weather we got outside over the weekend. 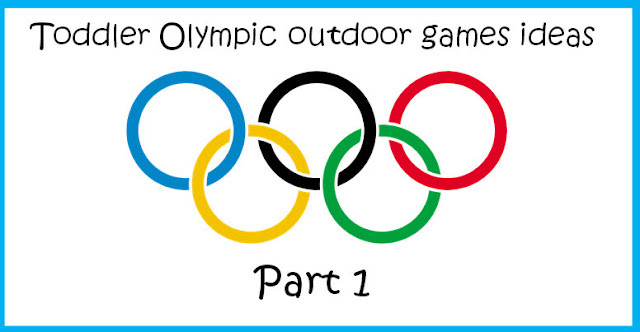 The idea of having a toddler Olympics came about as the weather was wonderful and we wanted some outdoor fun. Due to this I quickly rounded up a few games we could play. All the games were played with items that we had around the house so no need to go out and spend loads of money which is always great. This was a spin on the egg and spoon race but we used pom poms and wooden spoons. It was really good fun made better by the fact that daddy was against Little Boo you could see her determination to be first! Little Boo doing her best throw. We used the no sew bean bags we made using odd socks. The aim of the game was to knock over as many bottles as possible. As you can see all the bottles were up-cycled all different sizes but this did not matter Little Boo actually enjoyed putting them back up as well. Then it was time for alphabet target ! Little Boo filled up a squeezy bottle with water then we took it in turns to shoot the letter targets that were on the wall written on with chalk. Staying with the water theme we also did hit the target. Little Boo loved this especially the water and filling up the bottle. I hope that you are able to get outside and try out some of these ideas part 2 of the Toddler Olympics will come tomorrow and there will be more water games. Great for when the sun is shining. Thank you so much I am glad that you like the post. I hope that you enjoy your Olympic themed games. We had so much fun but Daddy and myself got rather competitive. Brilliant! I'd bought some toy medals for £1 this week and was wondering how to use them, I need wonder no more. I LOVE the sock bean bags too, fantastic. This is FANTASTIC! enjoy and let me know how it goes via Facebook I would love to know of any new games. The socks are great to play with they are so versatile and saves so much as no need to buy bean bags. Thanks for commenting and enjoy your family Olympics. Oh the scorecard is a great idea.